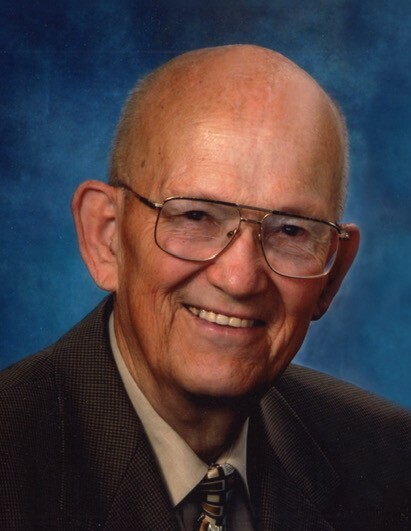 Reed Kay Davis, age 86, of Centerville, Utah, passed away on Wednesday, April 10, 2019 at St. Mark’s Hospital in Salt Lake City, Utah. Born in Logan, Utah on September 11, 1932 to Henry Floyd Davis and Anna Laura Skousen, he was the youngest of three children. During his childhood, Reed lived in Logan, Utah; Mesa, Arizona; and Albuquerque, New Mexico. He attended schools in the Albuquerque area, graduating from Highland High School in 1950 where he participated in student government and the ski club. After graduation, he attended Brigham Young University, and worked summers in road construction for his father. From 1953-1956, Reed served as a full-time missionary for the Church of Jesus Christ of Latter-day Saints in the Spanish-American Mission. While serving his mission in 1955, his parents were killed in an automobile accident. After completing his mission, he finished his education at BYU and received his bachelor's degree in Industrial Management. During his senior year at BYU, he met and dated his sweetheart, Gayle Palmer. Reed married Gayle Palmer on May 29, 1957 in the Salt Lake Temple. Reed and Gayle both graduated from BYU and were married in the same week. They recently celebrated their 60th wedding anniversary, 60 years together as eternal companions. Reed and Gayle raised their family in Bellevue, Washington; Albuquerque, New Mexico; Tempe, Arizona; Pocatello, Idaho; and then settled in Centerville, Utah where they have lived for the past 42 years. Throughout his career, he worked as both a manufacturing and industrial engineer for several companies including Boeing, Bucyrus Erie, Thiokol, and Litton. He was a true engineer and always wore a pocket protector filled with pens, mechanical pencils and a slide rule. He could fix just about anything, and loved tinkering with things to figure out how they work. Reed was known for having a “green thumb”, always working in the yard with his fruit trees and vegetable garden. He was known for growing the best raspberries, peaches, and apples. He loved spending time with his family. He enjoyed camping every summer, loading the whole family into the truck and camper, and heading out on adventures. While living in Utah, there were annual boating trips to Flaming Gorge with his family. Reed was a true blue BYU fan, and was a football season ticket holder for many years. He proudly hung his BYU flag on game days. He enjoyed working on genealogy and spent hours tracing his lineage and collecting family records. Reed was a member of the Church of Jesus Christ of Latter-day Saints and served in various callings throughout his life. In his later years, he served as a part-time church service missionary at Temple Square and the LDS Conference Center in downtown Salt Lake City. While serving as a host at the Conference Center, Reed often gave tours in Spanish. He always enjoyed a good conversation in Spanish, using his Spanish language skills that he learned on his full-time mission. Reed lovingly cared for his wife, Gayle, for many years as she endured many health problems in her later years, passing away just 8 months ago. Reed is survived by his five children, Byron (Becky) of Grantsville, UT, Dianne (Blair) of Las Vegas, NV, Brent (Linda) of Nephi, UT, Merilee (Troy) of Farmington, UT, Melinda (Russ) of Bountiful, UT; twelve grandchildren, Amy, Ryan, Scott, Jeremy, Taylor, Jaxson, Sydney, Josh, Cassie, Megan, Chad, and Cody; seven great-grandchildren, Jill, Tanner, Cole, Ellie, Kigen, Eliza, and Calvin. He is also survived by his sister, Bonnie Thomas. He is preceded in death by his wife, Gayle Palmer Davis, his parents, sister, Carol Dangerfield, and great-granddaughter, Elisa Pollary. Funeral services will be held Saturday, April 20, 2019 at 2:00 pm at the Ricks Creek LDS Chapel, 1475 N. 50 E., Centerville, Utah. A viewing will be held Saturday prior to services at the chapel from 12:15-1:45 pm. Interment will be at Centerville City Cemetery.